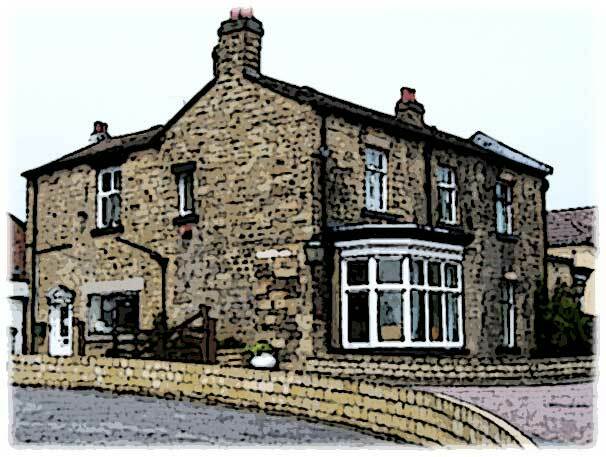 Elm Lodge has a rich and eventful history charting back to the 1900's when mill owners built the Lodge. Over the years, Elm Lodge has been added to and by the 1980's covered extensive grounds. At this point the Lodge was in the ownership of the Oddie family and was then sold onto the Robinson family. In 1983, Elm Lodge was converted into a Residential Care Home. As needs changed, the vast grounds surrounding the Lodge were redeveloped in the late 80's and 90's to create several new homes for the local community. 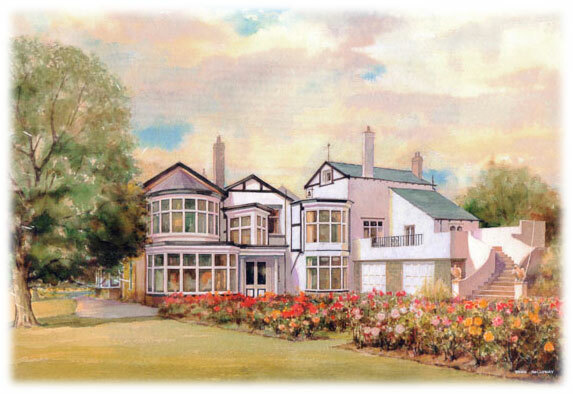 The watercolour painting reproduced above was painted by artist John Holloway and depicts Elm Lodge at around 1980. In 2005, Elm Lodge was owned by the Mortimer family who continued where the Robinson's left off by maintaining Elm Lodge as a Residential Care Home for the Elderly. During this period, the Mortimer's maintained a two out of three star rating awarded by the Social Care Regulator CSCI (now the CQC). In addition, the Mortimer's were chiefly responsible for achieving a 5 Star Food Safety and Hygiene award by Wakefield Council which the Home continues to hold today. The painting above shows the Lodge as it was around 2008. Today, Elm Lodge continues to thrive as a Residential Care Home for the Elderly and is a part of the local community as it has ever been. 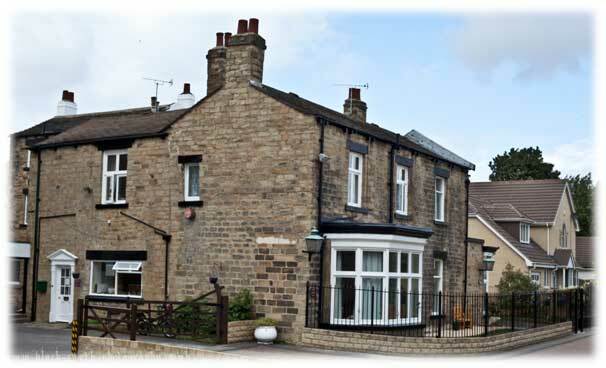 Since being acquired by Alhambra Care Limited in May 2011, Elm Lodge has undergone an improvement programme to ensure the Home's position as a leading provider in Social Care for years to come. Today we are proud of working towards ever increasing care standards, achieving personal best infection control inspection results as well as maintaining a good Food Safety and Hygiene award by Wakefield Council. If you have any historical pictures of Elm Lodge or Cluntergate or even Horbury, please contact us and we will insert the picture on this page!